Breaking the ten second barrier in the quarter mile in any vehicle is an accomplishment. In a front wheel drive car perhaps even more so. 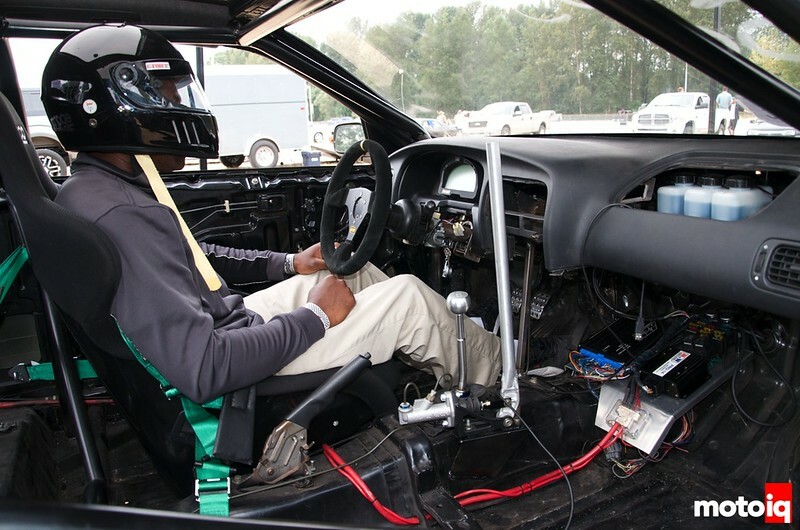 The challenge is even greater for Carlos Joseph, who has his sights aimed at breaking the ten second mark in his 1991 Nissan NX2000. 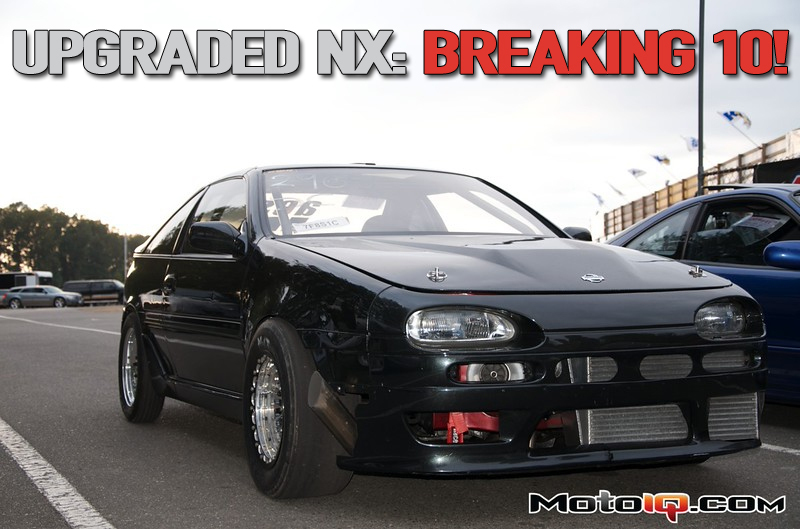 There are very few Nissans with the FWD SR20 based engine that have accomplished this, but I think that Carlos is going to make it happen in his AES Automotive built NX2000. After reading about this NX, I am certain that you will agree with me too. Carlos is quite at home in his office. He has overseen this build and is very confident in the car and in AES Automotive's support and technical prowess. That's an Infiniti dash – note the master cylinder in the Infiniti's air bag opening! The Internet has a wonderful way of making the world a smaller place; that is how I came to know Carlos Joseph. We both have a long standing love of the singular Nissan known as the NX. Available in North America from 1991 to 1993 in two versions – the usually overlooked NX1600 and the one time highly rated NX2000. Carlos has had his NX2000 since 1997 and it has gone through many changes. Obviously, it was first off his daily driver. Then he got into autocross. It was around this time that he met Paulo Ayeras, who became a good friend and is a genius when it comes to working on cars, and added Greg at GSpec to his speed dial. 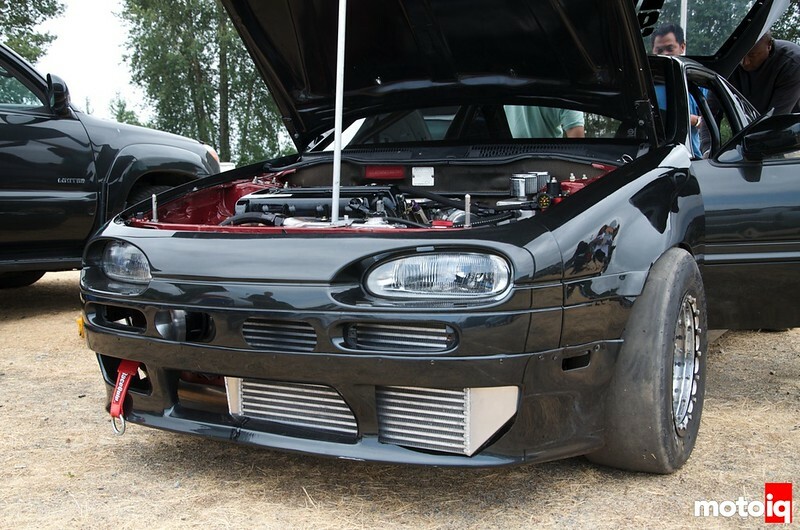 Seeking to understand his car better and gain an advantage in autocross, he began frequenting the SR20 Forum and, later on, the SR20-Forum. That is how we met. Reading each other's posts on the forums. Carlos never posted an extravagant amount of information. In fact, a year or two could pass without a single post. When Carlos did post, it was usually something quite intriguing. The past two years I could tell that an amazing build was taking place. A comment about a brand new Nismo LSD that had been on a shelf in his garage really got my attention (yes, I tried to buy it from him! ), a VE-T, and then a couple of pics of the car which looked amazingly mean. Knowing I was heading to British Columbia for some holidays, last winter I connected with Carlos about getting together when I got out to the Pacific Coast. That happened at Mission Raceway Park, where I not only got to see the man and car, but I got to see them breaking in the new build on the track. It is going to break ten! No longer a daily driver, the car is now track only. It is in immaculate shape. Carlos and I had a Skype conversation early in the week that we were going to meet at the track. He was at AES Automotive and I could hear the car running in the background. Carlos explained that it was on the dyno as he and Paulo Ayeras of AES Auto were sorting things out to be prepared for Friday's track day. He cautioned me up front that the car would be running low boost as they wanted to break it in gently – both on the dyno and at the track. There are no numbers to show of significance from the dyno testing at this time. 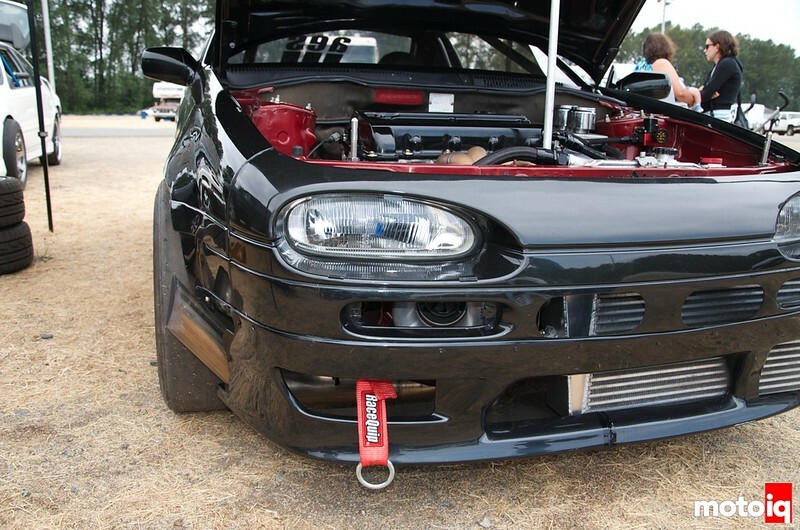 At the track on July 10th the car ran a 12.42 in the quarter at 15lbs of boost and hard acceleration only in first and second gears. The trap speed was 104 mph. That is impressive but is seriously just the start. Carlos is looking to break into single digits with 35 or more PSI and 700 plus horsepower. Paulo jumps in here and comments that 600whp should be all that it requires to break 10; that horsepower alone is not going to make it happen. And you need to be able to effectively manage the horsepower. Additional cutouts in the nose are spaced out between the OEM turn signal openings. Obviously, the turn signals have been removed. The side exit exhaust is incredibly cool – and the sound is quite nice. I actually expected it to be raspy and hard on the ears. It wasn't. Here Carlos (right), Paulo (centre), and another AES Auto team member (I think it's Gel Delos Santos) are looking at the rear mounted battery. They're actually discussing moving it back to the engine bay. Unlike a road race car when the attempt is to move weight from the front, in this case front weight can be beneficial. Mission Raceway: For Those 12 Seconds or Less!